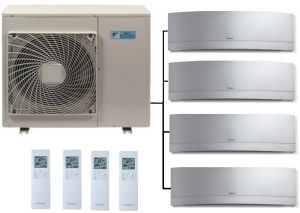 The Daikin 4MXM68N outdoor multi condenser unit can run up to 4 of the Emura series high wall indoor units that can provide both heating and cooling to your premises (only in one mode at a time however). The Emura units are finished in silver but a crystal white finish is also available. 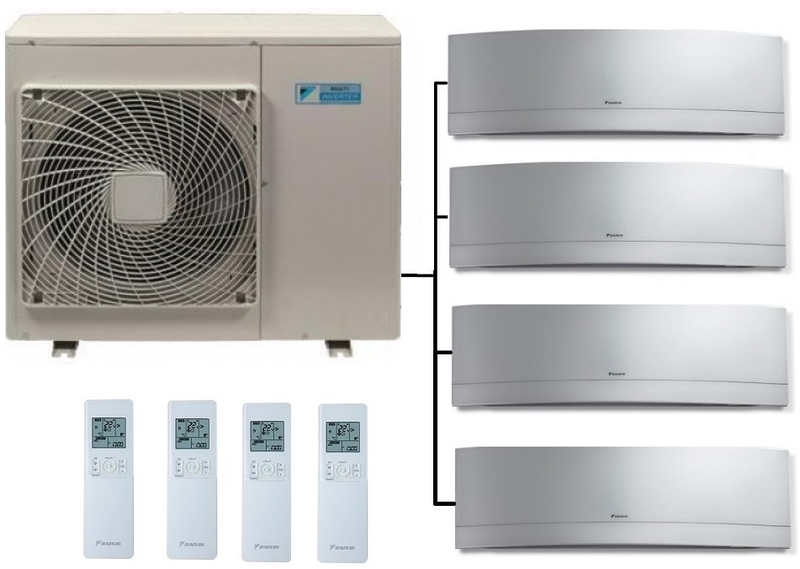 These Daikin systems are full reverse cycle heat pumps so can provide heating even in the coldest of UK winters, each indoor unit also comes with a remote control with full 7 day timer facility. Other features include air purification and super low fan speed for night time operation and Wi-Fi connectivity is included. Please note these are the new R32 refrigerant models.